It is no secret the Oakland Raiders will be playing in Las Vegas for the 2020 NFL seasonn. 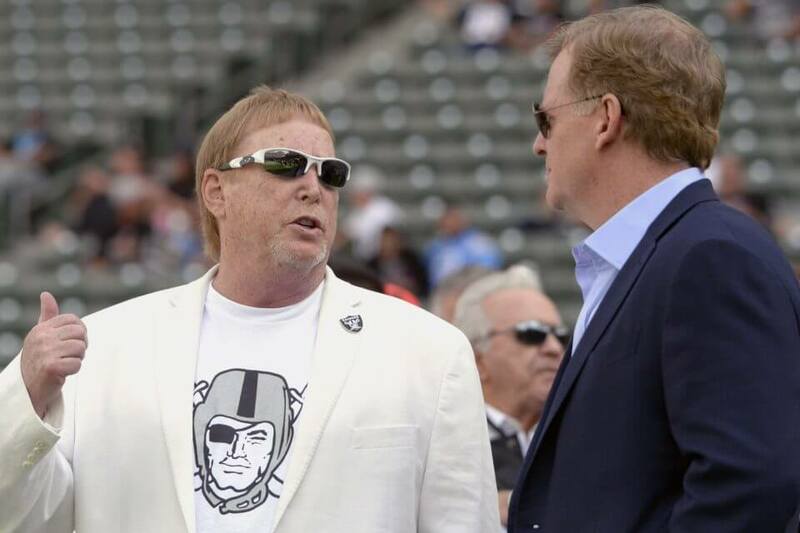 However, it appears team owner Mark Davis is hoping they are still in Oakland when they make the move. The Raiders caught plenty of flak from their hometown when news of their impending departure broke. Although no action has been officially taken, the lawsuit has been approved by the city council. The team has responded by opting to play elsewhere in 2019 rather than at the Oakland Coliseum. It is clear that Davis would prefer to stay in the East Bay for the team’s farewell season. Unfortunately, the business side of these deals usually outweighs emotions. The Raiders are certainly no strangers to relocation. They were founded in Oakland back in 1960, however, they spent over a decade in Los Angeles before returning home prior to the 1995 season. The fact that they are now headed for a new, state-of-the-art stadium just adds salt to the wound. The Raiders certainly hold all the cards in this deal. If the city does not agree to the lease, the team has other options to play elsewhere. Among the notable venues are Levi’s Stadium in Santa Clara or Qualcomm Stadium in San Diego. The only advantage city council seemingly has is the team’s attachment to Oakland.